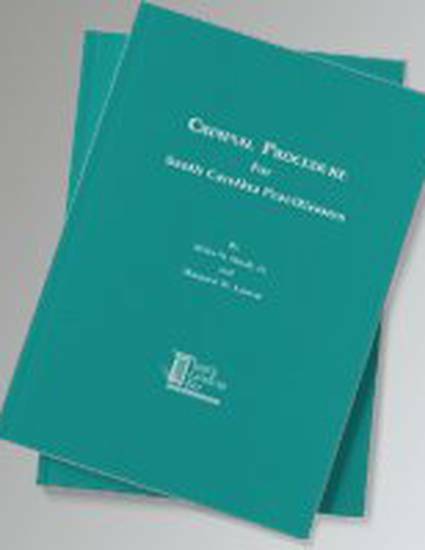 "Criminal Procedure for South Carolina Practitioners" by Miller W. Shealy, Jr. Selected Works of Miller W. Shealy Jr. This book covers the basic principles of criminal procedure in the investigative stages of the criminal process. Emphasis is on the decisions of the S.C. Supreme Court and the S.C. Court of Appeals. The major U.S. Supreme Court decisions in investigative criminal procedure are summarized along with similar cases from South Carolina appellate courts. Where appropriate, attention is also given to relevant statutes and the Fourth Circuit Court of Appeals. Contact Miller W. Shealy Jr.